Fostering resilient, reflective and compassionate learners, grades K-6. The kinderGARDEN, supported in part by Edible School Gardens, is a launching pad for integrated study across all classes; topics include: sustainable agriculture, ecosystems, plant propagation, pollinators, and garden to table. The Elementary Program at PCS prepares students for our complex world by empowering them to think critically and creatively, to make wise and compassionate choices, to connect with their community through service, and to initiate positive change at every opportunity. Place-based learning grounds the Elementary Program in the rich landscape, history, and people of East End farms, open space, beaches, and waterways. From this grounded center, PCS students soar into broader spheres of ideas and influence. The PCS Elementary program is fluid and dynamic: students learn in multi-age classrooms with facilitators who understand and value diverse forms of intelligence. A project-based curriculum unfolds as students and facilitators interact with the materials, events, and people of our community. Student interests and inquiries give shape to each class’s focus during trimester-long Units of Integrated Study with a common theme shared by all grade levels. Past themes have included: Astronomy; Long Island's Maritime History and Waterways; and Maker Education. PCS acknowledges the importance of high academic standards, and we refer to nationally accepted and recognized benchmarks for skill and concept development in reading, writing, and math. These skills and concepts are both woven into the fabric of the thematic Units of Integrated Study and honed with explicit, small group instruction. PCS recognizes and respects Kindergarten as a uniquely transitional and important developmental stage for young learners, and we offer a specialized Kindergarten program that honors children’s social, emotional, and academic needs. Learning opportunities (academic and social-emotional) are both individualized to celebrate each child’s unique entry point to their educational journey and collaborative to foster community and compassion. While play is still central to the curriculum, Kindergarten is a time to label, sort, compare, and organize. Play becomes more intentional and deliberate: children discover they can build, create, and represent; belief in magic morphs into an understanding of cause and effect and the difference between fact and fiction; patterns begin to emerge for Kindergarten students and form the underpinnings of early literacy and math competencies. 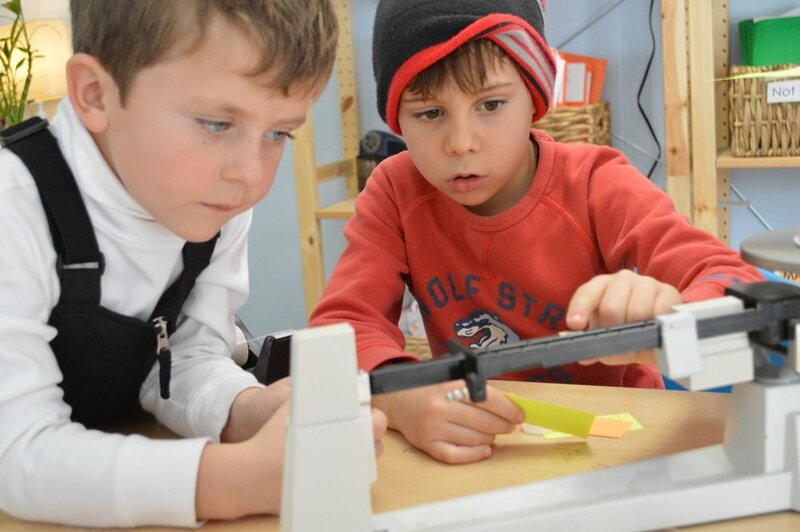 Facilitation balances open-ended, play-based opportunities to discover, make connections, and build relationships with explicit and authentic learning experiences in math, literacy, science, and the arts.